This is a group buy for the 96KEE by mehkee.com. The 96KEE is a small revision of the keyboard kit formerly known as the GSX96. A note on international shipping: yes it's expensive and we're sorry we can't do better on the shipping prices - the estimated weight including box and packaging is over 3lbs. This pricing is based on the weight/location and auto-calculated via USPS rates. Based on other GBs, the rates that people have been e-mailing/messaging to say are absurd are actually in-line with the only other option being an upgrade to DHL Express (even more expensive). USPS Priority / USPS Priority International (both have tracking and insurance) are the only options we will provide for this kit. Thanks and as always, please comment or e-mail us with any questions! Below are some pictures of the R1 kit and builds by our awesome customers - more available on the website. 8/16: See update at top of first post, first two batches of orders have been submitted, deadline until end of GB orders is extended until 11:59pm ET on 8/25. 10/29: Shipping from factory expected Wednesday! Nice board. I've seen the ones from taobao for $90 and it seems to be great value! I used the round 1 version and really liked it. Round 2 version can only be better. The ability to deliver such a keyboard at this pricepoint is impressive. Very tempting! Also, I see you carry holtite sockets in your store, will this round of PCBs support them? Unfortunately no, maybe a point to contemplate for the next round, but generally hard to do for cheap unless you're piggy backing off a previous design that has switch pin cutouts the perfect size (and then there is the debate/process to figure out if it supports gold or tin-lead given both have a slight difference in thickness of contact plating). Was so keen but will have to pass, if there is any way to bring it down to $20 then we can dance. It's a heavy board, shipping any kind of thing like this is going to be expensive to AU. Considering the major competitor, ZZ96, is double the price without shipping, does $35 really break you on this decision? Jumped in this morning! Thanks for the follow-through cynviloq! Sorry mate - if we could ship this for $20 across the ocean, we certainly would, but at this weight we can't even ship it across the country to the West Coast for $20 (ranges anywhere between $20-23). We're happy we could get this organized and going! The main motivation was actually from all the folks in the original thread who mentioned they wanted one and missed out. Wasn't gonna jump in on this but at the price its just too hard to pass up! What software will the PCB use? I think he said PS2AVRGB for programming support. Can you let us know if the color of the blue kit is the same one as in the picture on your site? As E.E.L mentioned, PS2AVRGB so you can use BootMapper or whatever your favorite GUI is. Yes - the blue kit is the same as the second from the right in the kit with 4 cases. That was the blue produced in R1 and it has not been changed. Just my $.02 on shipping, east coast to west coast for a 20x10x4 box weighing 2.5lbs is only $20.75 with $160 insurance and $2.50 packing materials cost factored in, and it only gets cheaper the closer the shipping zone, and shipping the same box to Aus via First Class International is $34.56 with the same $2.50 for materials, though no insurance that I'm aware of. So yeah, $20 to Aus isn't possible, under $40 is probably possible tho, and it should def be possible to get a smaller(albeit heavier) box to the west coast for $20, though I can't get an exact price atm since my internet barely handles GH. Yes, I know. The stated weight in the description for the whole package is estimated to be ~3.5 lbs. We aren't willing to ship these keyboards without insurance so Priority Mail is the only option here. The shipping costs are auto-calculated based on zone. Many on the East Coast (we're based in NYC) are paying as little as $14 for PM shipping. 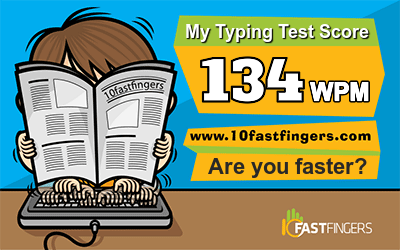 Checking out your site, I got $11.06 shipping, so not bad. The 3.5lbs does seem like a lot, that's like 1.5lbs of packaging if the board itself is 2lbs? That's a lot imo, since the 20104 boxes I mentioned before are themselves 10oz, and with Coniferous I ended up with maybe 2-3oz of bubblewrap to secure the sets in the boxes. Considering you'll have smaller boxes, mayhaps a 1664, I'm certain that you can't possibly be using 3/4 of a pound of bubblewrap since that's like 50ft. With some dense packing foam that could maybe weigh that much, but I'm still not certain. I mailed a GSX96 to AUS with a healthy bit of that foam wrap that's popular in China and it came to 2 lb 12 oz. 3/4 of a pound difference seems excessive. It is when original GSX96 was $90 + drop shipping via DHL. Yes, shipping to Australia has also killed it for me on this buy. It is $52 to Australia, but if you also add switches in your order.. it jumps to $72 for shipping!! Joined this morning, also! Thank you so much for putting this together!!! Kind of makes the 10% switch discount redundant doesnt it??! Hi everyone - thanks for your comments and I hear your concerns. USPS PM shipping is calculated via weight and zone/distance in increments of 1lb (i.e. 3.1lbs and 3.5lbs and 3.9lbs are all charged at a 4lb shipping rate). Thanks for the comparison. Can I ask what all accessories it included (assuming aluminum feet and full stabilizer set?). Our plan is to have boxes made to fit the 96KEE (with foam and/or bubblewrap), as well as a bit of room in case anyone adds switches and other accessories to their order. Even the addition of 4.5oz would automatically bump it to the 4lb weight class which is what all the kit orders are based off right now if you check shipping for just the Full Kit. We are allowing ourselves a bit of room in case we decide to use a sturdier material or heavier packaging. If you have an issue, then I do not mind if you do not participate in this Group Buy. I'm sorry it has priced out Australians, but for Americans participating in Group Buys that originate from the other side of the pacific, we are used to paying $50-60+ for shipping to the US for kits alone and it's unfortunate for y'all that it's reversed this time. (a quick check of recent GB prices $45-90 from Malaysia/China/Korea to the US for weights ranging from 3-6lbs). If you find an equivalent board or group buy that will be cheaper for you, then by all means please join it. I am not forcing anyone to participate in this group buy and would not want anyone to join if there was a cheaper option for them elsewhere! You can buy your switches from elsewhere... Not all group buys and items and shops are going to be able to be a financial home run for everyone in the world (or at least from my perspective -- perhaps I'm not wise enough or capable enough to figure it out) so this seems to be the case for potential ex-US buyers in this Group Buy. ~110 Zealios adds ~ 7.5oz which in this case would push the package into the 5lb tier which is why there is an increase in the shipping fee. The shipping fees are auto-generate by Shopify based on weight and location according the USPS schedule with a small margin to account for packaging materials. If TerryMathews can ship it for cheaper then maybe he could purchase it for you and send it to you? If the group buy is not in your price range, then you do not need to join. Unfortunately I cannot lower the shipping price to Australia to $20 and I hope perhaps someone in Australia will one day run a GB of a kit for y'all that makes the overall price cheaper. I really do appreciate the feedback, but I don't think these prices are beyond reality. I know and I'm very sorry - but for the kit alone, I do not believe ~$50 is outrageous for USPS Priority Mail with tracking and insurance. Please understand that for all my orders, if the actual weight calculated at the end of the day moves to a different tier, they are refunded the difference in tiers automatically. I just can't promise that because we have set an approximation and would not feel comfortable saying that you may get a refund on shipping once the kits are in. Sure it could happen, but I don't know the likelihood. In any case, even if it were to move down a tier (to the 3lb tier), the difference would be ~$10 for Priority Mail - which if the $10 difference (5% of the total cost) is what is keeping you from participating, then purchasing a $200+ keyboard is probably not a wise financial decision. And its not like the 'improvements' are significant. 1) That's just the PCB, and it's the bad red one. The new one has an improved black/gold PCB. 2) Shipping to Australia is $50 for any keyboard kit, not just this one. There's a reason we make jokes about the "Australia tax." This kit is cheaper than almost every other 96 out there (except the welfare96, which is acrylic, and the YMD96, which is a sandwich case). The thing to be mad at here is the price of freight, not Mehkee. I did some checking with other carriers and even DHL is like $40. The new GSX is also thicker and has more mounting points than the original. Ordering through a proxy might reduce your shipping cost. In for a full kit in black, really like the features and design of this. Hoping to pair this with GMK Laser eventually. wait what... Is that the same? Mehkee should make a profit, but what exactly are we paying for? 2) I actually live in australia and shipping has never exceeded $50 usd for anything (they are usually $45 for 3kgs from US, $30 for SK/SEA) but lets defend someone that is already blatantly flipping taobao products for 80%+ markup! That topic links to the same Taobao listing. It's just plate or PCB. I can read the Chinese, but Google translate should confirm. Mehkee worked to improve the existing product. I was talking to him about it the entire time. He is most definitely NOT flipping Taobao products for a quick profit in this case. It's the PCB or plate for the old version. The new version has an entirely new PCB and plate. The red PCB was a principal complaint from the last round. It doesn't look very good, and it wasn't the best quality. Cynviloq tells me the new PCB looks (in his own words), "baller" and is better quality. Again, I understand people need to make a profit, but it's seeming more and more like this is just a proxy service. Hasn't been produced yet =/= he's never seen it (pre-production sample, perhaps?). He clearly says the new version will be black and gold. Waiting on my two acrylic GSX96 that I bought direct from the Taobao seller that cynviloq recommended me too. Supposed to have rev 2 PCB as well. I'll jump in after I examine how this previous kit fits together. Definitely will be in for two if it works out perfectly. Would these Aluminum housing fit the rev 2 PCB? In case we would want to switch the housing from acrylic to Aluminum on a whim. He hasn't seen it but he predicts that it will look baller. 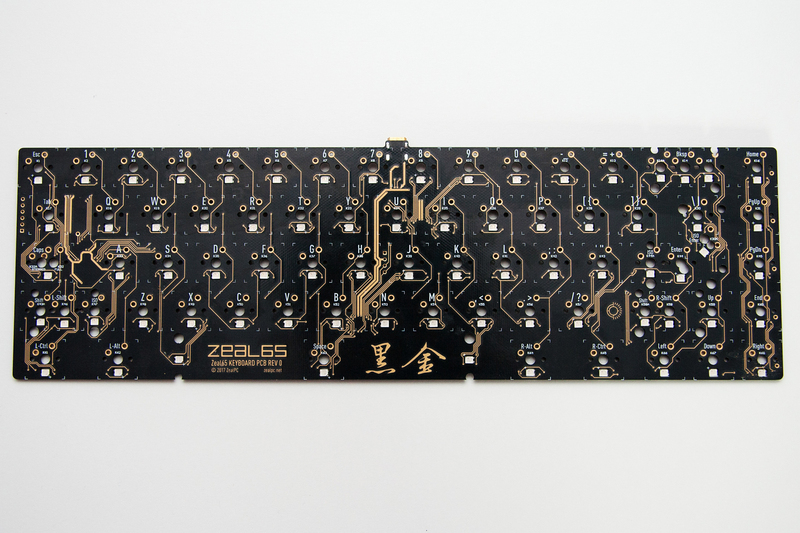 From what he's told me, it'll look something like zeal65 PCB, but I CANNOT CONFIRM. I just know it'll be black and gold. There won't be gold tracing like Zeal's PCB and I wouldn't compare it to his. Here is a sample production picture - I don't have final pictures as it's still being revised with the proper standoff holes for the 96 key layout. It's not that I haven't seen the PCB before and of course it hasn't been produced - the Group Buy is still running? This is the factory's first time producing PCBs in this colorway. 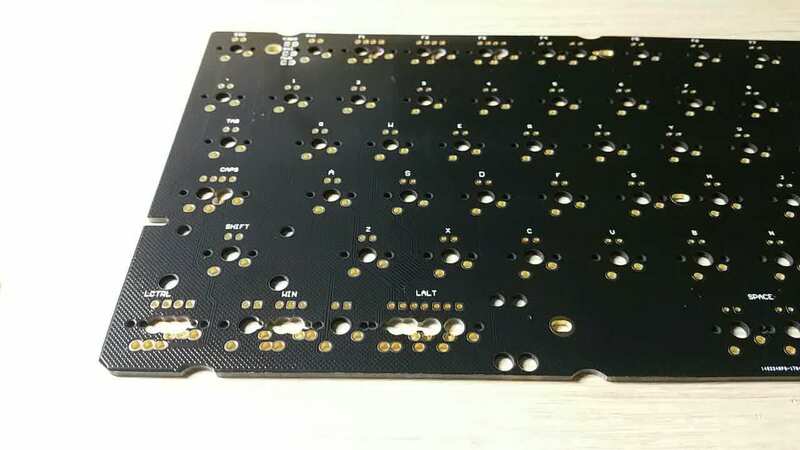 Yes, it is a value factory relative to other PCB manufacturers so they do not have a wide range of production samples that we can choose from and view. Hkf's link (the original round) doesn't have cases available anymore, the prior round was run at a significant loss to the original group buy runner on TaoBao. I reached out to him to convince him to do an R2 after feedback on both the GSX96 thread and Reddit. If there is a proxy on TB that you would like to purchase through, please do so, though I'm not sure there will be one as I won't be asking for proxies and the original GB runner has told me he plans to only run more cases for this GB (verbal agreement). If you find this to be "sketchy", then please don't participate if you believe it to be risky as it is a group buy. Again, I am not forcing anyone to participate and I'm generally pretty transparent about not only my business but my group buys. If you have questions please feel free to keep asking them. The standoffs from the Acrylic Kit should match up for the aluminum case, but I can't guarantee it... At the minimum you should be able to use at least 5 of the overlapping standoffs that were carried over from the first PCB to both of these rev 2. If you do have concerns with how I operate my business, I'm always happy to discuss and listen to criticisms - feel free to PM or e-mail me. Thanks! If anything I'll wait a bit until I have the PCB on hand in a few days / next week and try to match up with the aluminum housing that you have depicted. I definitely want an aluminum kit, just don't know if I should go in for extra or not. Isn't the kit for this cheaper than the one you bought on mechmarket though? No, the kit on mechmarket was cheaper. Just a quick update - about 48 kits ordered so far with the large majority being Black and Titanium Grey! For those ordering 3+ kits each, I do not envy your soldering parties. Is titanium grey the one pictured on the bottom right of the last picture on this image? Or is that the black? The set of built kit pictures on the brown background is also Titanium Grey!